1. How tall is that tree? 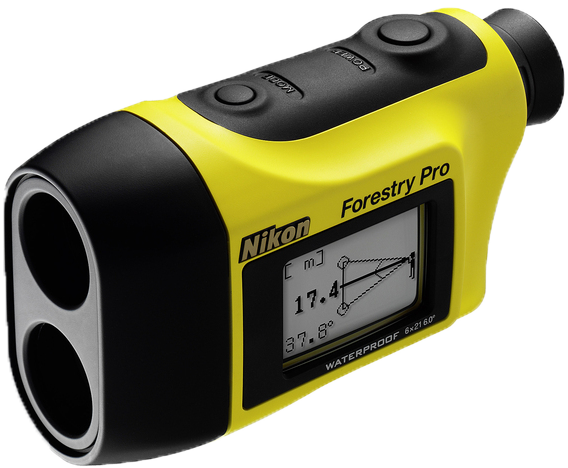 Foresters, or forest/woodland surveyors, commonly use a clinometer to measure the height of trees. This data can provide important information on tree growth rates, habitat structure, and timber volume. 2. How high is that bat roost entrance? For bat workers and researchers, determining the location and height of roost entrances is a vital part of surveying the location of colonies, along with preferred habitat characteristics. The height of a bat box or artificial roost may also need to be measured, and the clinometer makes this possible without the need for a ladder and tape measure. 3. What is the slope of that hill? You can use the clinometer function to determine the height and slope of an area of land such as a hill or mountain. They can also be useful for marine biologists and oceanographers for measuring changes in slope on beaches and dunes. 4. What’s the distance between these [two things]? 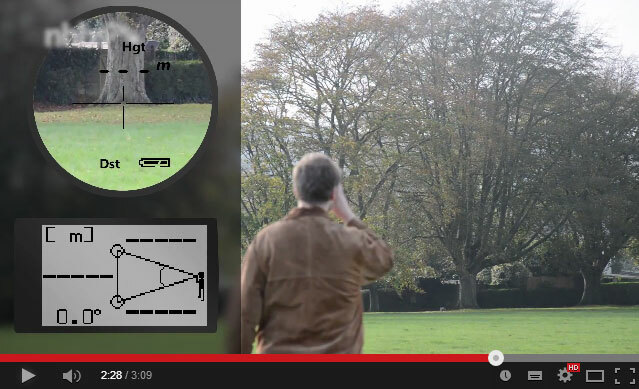 The laser rangefinder function can be used to measure distances between e.g. a hedge and windturbine or a house and a treeline. It is a particularly useful way of taking a measurement from Point A (where you are) to a Point B that you have a line of sight to but can’t directly access. 6. How tall is my colleague? Ok, so maybe this isn’t something that you are likely to need (or want) to measure. But we wanted to see how the Forestry Pro managed with relatively modest heights and close distance (are the cows small or far away?). At its minimum operating distance of 10m it had no problem measuring a height of 150cm, demonstrating that this combined clinometer and laser rangefinder is suitable for measuring even small differences in height and inclination. Why not take a look at the Forestry Pro in action? These days there’s an app for everything and everyone. For those of us with a passion for nature and the outdoors, they provide a fantastic way to improve our knowledge and identification skills, record and share our findings and even contribute to scientific research. 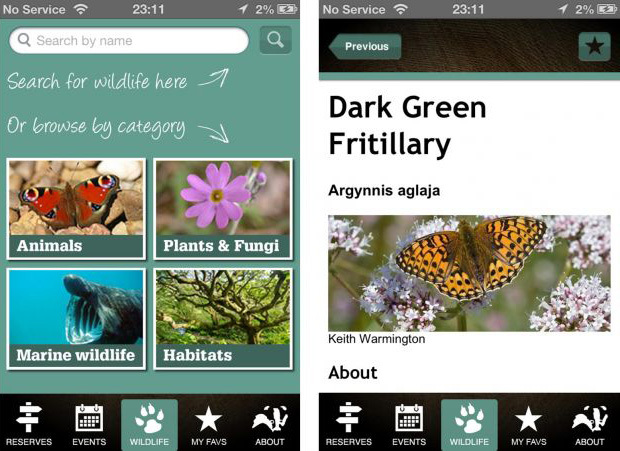 We’ve compiled a list of our ten favourite (and free) apps for wildlife lovers. Most of these are designed for UK users, but if you’re based in other countries, have a dig around at the App Store or on Google Play; there’s bound to be something there to inspire you. All of the apps listed are available for iPhone and Android and they’re all free. So if you’re needing some inspiration to get outside and start exploring, look no further. 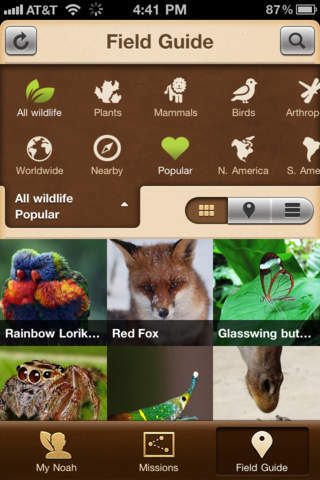 Explore and document wildlife wherever you are in the world with this educational app. Discover new organisms, record and share the specimens you find and help scientists collect important ecological data. 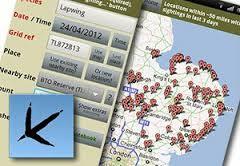 Produced by the British Trust for Ornithology, BirdTrack lets you create logs of your bird sightings and create year and life lists. 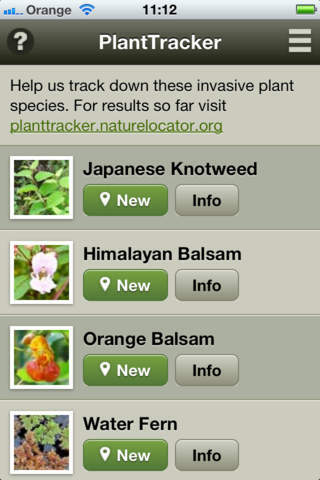 View your local hotspots and see what species have been seen in your area. 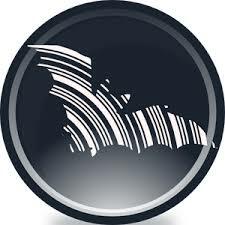 The BatLib app contains ultrasonic calls of the most common European bat species, transformed to a sound that you can hear. Extremely useful to compare with the sounds heard using your heterodyne detector and a great tool for those new to bat detecting. The Nature Finder app from The Wildlife Trusts is a brilliant way to plan your wildlife excursions and learn about the animals you see while you’re there. It includes a map of more than 2000 nature reserves, lists of events, information on UK wildlife species and a directory for all 47 Wildlife Trusts. Identify and submit your records of mammals when you’re out and about with this mammal tracker app and contribute to the Mammal Society’s mammal population map of the British Isles. Submit a photograph if possible so that mammal experts can verify your sighting. 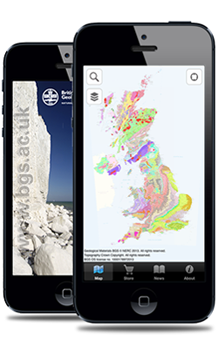 Discover exactly what’s beneath your feet and how the hidden geology affects the landscape you see with this app from the British Geological Society. Includes over 500 geological maps of Britain, available to view in 3D or from a birds-eye view. 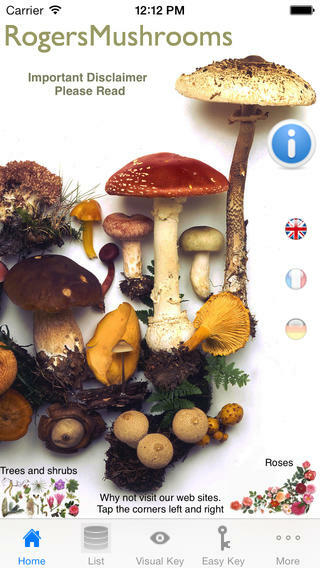 With detailed descriptions of over 1500 species of mushrooms and fungi across Europe and North America, Rogers Mushrooms app is a must for both beginner and expert mycologists. It includes multiple images of each species in different stages of maturity, along with a detailed description. Choose between the free Lite version or the Pro version for a price of £2.50. 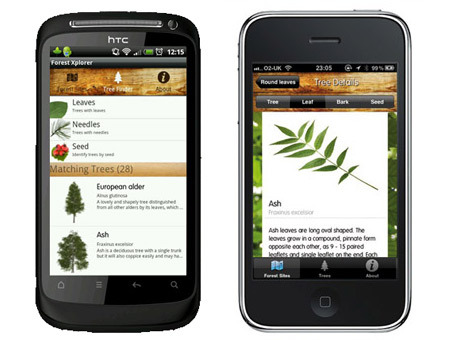 Find out more about the trees around you with this app from the Forestry Commission. As well as a picture gallery and tree identifier you can download trail maps, see events happening in your local woodland and share your findings with your friends via Facebook or Twitter. Join forces with the Environment Agency, the University of Bristol and the Centre for Ecology and Hydrology to help map some of the UK’s most problematic invasive plants. Learn how to identify these species and submit geo-tagged photographs whenever you come across them. 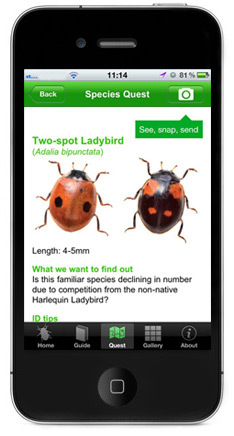 Be a part of the nationwide bug hunt with this Bugs Count app. Learn about common groups of bugs, contribute to scientific research by taking part in a Species Quest and view the beautiful gallery of bug images from the Natural History Museum. “The latest volume in this series has been written by Peter Friend and is a review of the rocks and landscapes of Scotland. Collins make it clear that the book is about the rocks, earth history and landscapes of Scotland. The book does not set out to be a comprehensive, all-inclusive survey of Scotland’s natural history – an impossible task to achieve in a single volume. Indeed, for fuller accounts of Scotland’s flora and fauna, weather, environments and habitats, one must refer to earlier volumes in the series – such as Vol 76 The Hebrides, Vol 88 Loch Lomondside, Vol 101 Galloway and the Borders [ed: all unfortunately out of print] and the earlier, now out of date, volumes on Shetland and Orkney. New Naturalist Vol 119 provides a more than adequate overview of the landscapes that shape Scotland and its natural history. For the geologist there are more detailed and scientific texts available, including the British Geological Survey (BGS) Regional Guides and material from the Geological Society and Scottish Museums. However, where this New Naturalist volume scores is in its organisation, presentation, and collation of material from a variety of sources in a fresh and compelling way. It has been thoroughly researched and meticulously brought together. Peter Friend uses the same format and scaffolding for this new volume as he used in his earlier New Naturalist, Vol 108 Southern England. He makes good use of modern computerised technology to provide effective diagrams, sections and maps to explain the geology and geomorphological processes. No diagram or text figure is too small to read; the aerial photos are carefully selected and add substantially to the understanding of the features described. The first five chapters are about geological processes and landform development. Chapters 2 and 3 borrow heavily from Vol 108 Southern England. And why not? Processes don’t change north of the border, and Peter Friend applies them to the Scottish setting. The remainder of the book divides Scotland into regions and each chapter follows the same pattern with the sub-headings ‘Stories from the Bedrock’ and ‘Making the Landscape’. This chapter structure works well and is consistently applied, making the book stand out among others by presenting the current state of knowledge and understanding in a logical, approachable and co-ordinated way. The photographs are excellent throughout, add greatly to understanding and their reproduction seems accurate and sharp. Some assumptions are made – such as of the reader’s familiarity with earth science terminology, although much is explained in the text and the diagrams help enormously. However, I do wonder if a small glossary of earth science terms could have been provided. I also found Dr Friend’s use of the geological stratigraphic term “tertiary ” in its volcanic province context both inconsistent and slightly dated: the Tertiary Volcanic Province is now known as the Palaeogene Volcanic District. Confusingly for the non-geologist reader, Dr Friend refers in “Further Reading” to the BGS Regional Guide “Palaeogene Volcanic Districts of Scotland” by Henry Emeleus; yet in the text, he more often refers to these districts as “Tertiary”. Anyone unaware that these terms are almost synonymous and that Palaeogene is the preferred term, will be at a loss. Indeed, in the Foreword to the BGS Regional Guide, published in 2005, it states “The term ‘tertiary’ is no longer approved”. As a geologist wanting an overview and a compilation of both geological and geomorphological material, I shall be using this New Naturalist whenever I need to obtain a wider view of Scotland’s complicated earth history or an idea of the surface landscape features of a particular region within the country.